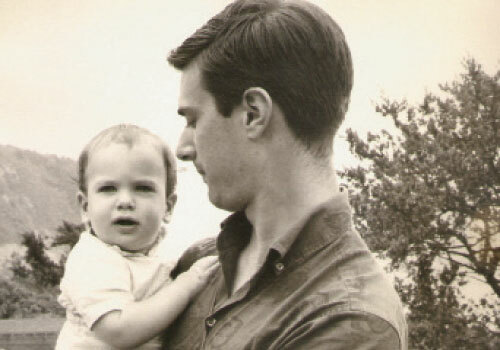 A beach bum who spent his Silicon Valley youth surfing and tending bonfires in the dunes (sometimes in lieu of attending school), the then 20-year-old fell under the spell of the sail that summer while in Mystic, Connecticut — a 19th-century mecca for merchant ships and whalers. The seaport’s history-drenched maritime aura and impressive architecture was foreign to Arrow’s “suburban mall rat upbringing,” and it drew him in entirely. After a few summers worth of crew work, Arrow considered himself a seasoned schooner sailor, but a brush with nature’s fury dampened his assuredness. During a December delivery, for which Arrow and two other young men were hired to sail a yacht from Cape Cod to St. Thomas via Bermuda, the nascent crew was pitted against an unforgiving sea. A nor’easter demasted the vessel, which bobbed around for more than a day—with both the captain and other mate gripped with violent seasickness—before a Coast Guard helicopter rescued the men. “If we’d been an experienced sailing crew,” says Arrow, “even with that bad weather, we’d have been fine.” Arrow rattles off the lessons learned during that disastrous passage: Know with whom you are sailing. Know all preparation needs for the trip. Have a solid understanding of the weather patterns you’ll face while underway. 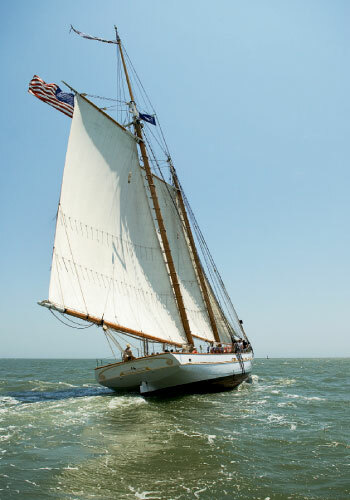 Education became the true north of his wind-powered wanderings, eventually pointing him toward Charleston, where local shipwrights were completing construction of the Spirit of South Carolina, a 140-foot, two-masted sailing school vessel. 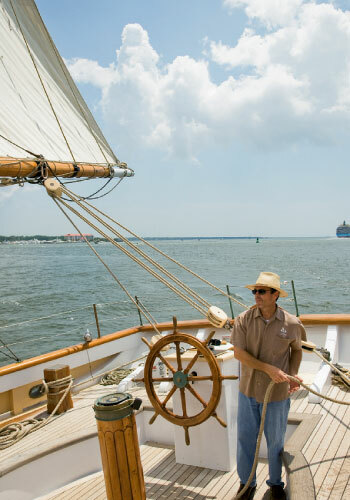 Buoyed by Arrow’s experience at the helms of more than a dozen famous tall ships, the South Carolina Maritime Heritage Foundation coaxed him to town. He arrived on a wave of praise from well-respected people within the national sailing community. The interview was a convergence of two dynamically established sailors—Arrow and the foundation’s executive director, Brad Van Liew, who won the 2002-03 Around Alone solo yacht race—each with dramatically different fortes. It didn’t take long for Arrow to size up the ship’s 2007 launch, and today the Spirit is an autonomous part of the foundation according to Van Liew. “Tony made us take out modern conveniences because he wants the kids to have a real experience. We don’t have an automatic anchor; students have to haul it in by hand, and it can take them awhile,” he says with a chuckle. And with a mischievous funny side brought out by his favorite onshore hobby—improv comedy classes at Theatre 99—Arrow makes an even stronger connection with the youth on board. 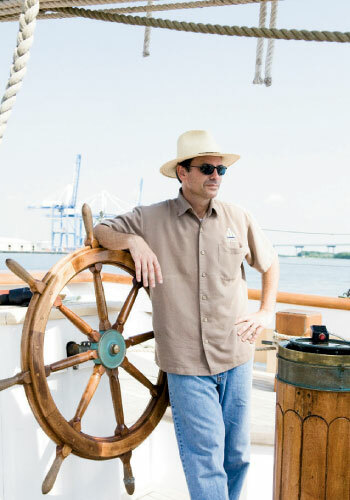 “He has a delightful sense of humor,” attests Penn Hagood, a history teacher at Ashley Hall who coordinates the school’s involvement with the Spirit of South Carolina Leadership Program, which enables 18 students and three teachers to participate in a year-long program that is capped off with a 10-day offshore experience. The quixotic nature of teen sailors fuels Arrow’s passion for sail training programs, because they are “still learning about life and have the capacity to see and experience things that will really affect the way they interact with the world.” He likens the high schoolers’ onboard experience—during which every participant must become an interactive cog in order for the ship to sail smoothly and safely—to a microcosm of positive society.